Airtech Advanced Materials Group manufactures in 6 locations throughout the world. 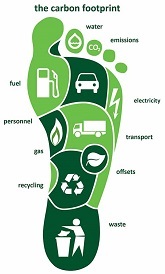 This is to provide local services, stocking and a reduction in our carbon “footprint”. We are proud to offer the lowest carbon “footprint” of any company in our vacuum bagging materials industry. Conducting business in an environmentally responsible manner by integrating pollution prevention and resource conservation into our vision, mission, and core values. Ensuring that processes are in compliance with Federal, State, and Local laws/regulations and continually improving our workplace to reduce environmental risk and committing the resources necessary to achieve environmental compliance. Inclusion of employees and stakeholder in improvement of environmental performance,by informing and making them aware about the environmental impacts of their activities. Supporting of environmental improvement as an integral part of our operation through teamwork, commitment, and awareness. Development and testing of new technologies that will bring greater environmentally progressive innovations to our customers and our communities around the world. Be prepared to respond to environmental emergency situations and prevent or decrease any adverse environmental impact. Eliminate or reduce the release of contaminants into the environment and landfill through pollution prevention, material substitution, recycling, energy use controlling and through treatment and controlled technologies.